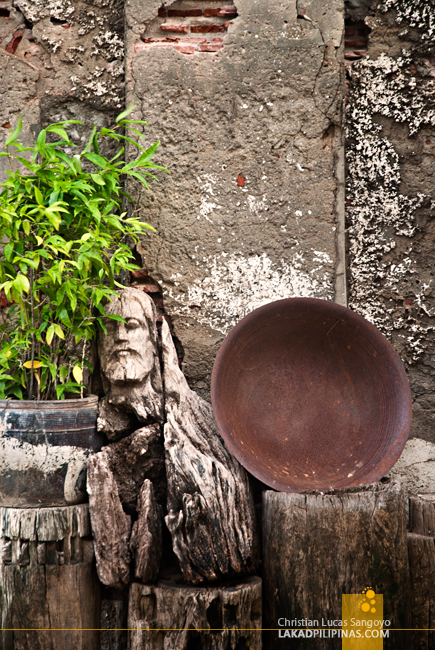 So what do you bring home after spending a day or two in Vigan City? Well, prepare an extra bag or two for pasalubong, you just might need it. Calle Crisologo is where the action is when it comes to shopping in the city. 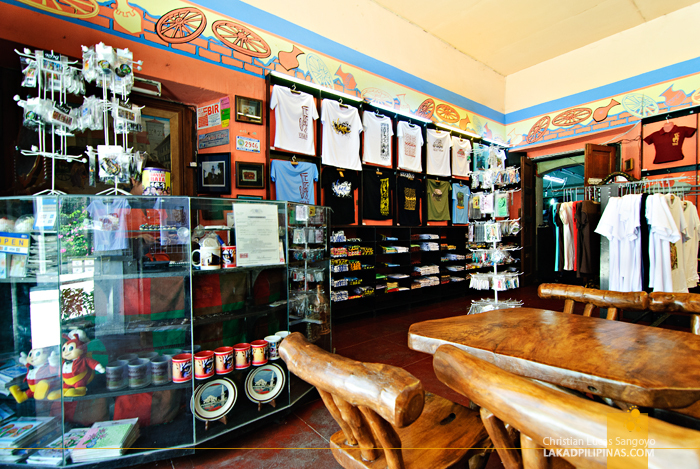 Granted, there are a few other places to get your souvenirs, like at Vigan’s Pagburnayan, but the wares being sold there pales in comparison to the variety found in former. 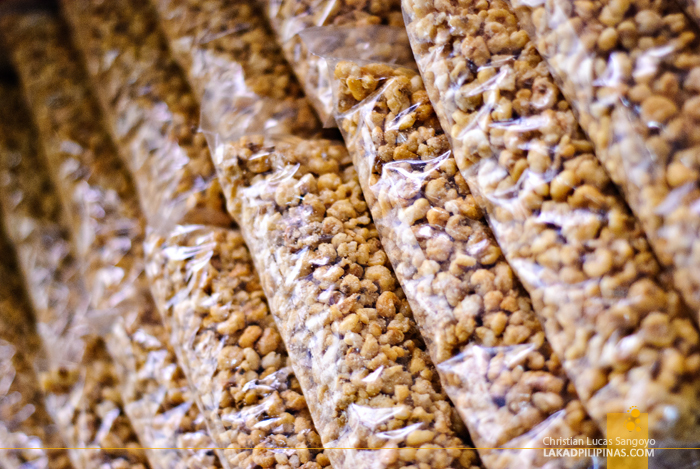 The usual foodstuff to bring home ranges from the highly addictive chichacorn (an absolute must-buy), to Vigan longanisa (which are being sold by the dozen) and cooked bagnet. The longanisa are usually pre-packed and ready for transport, while the bagnet is usually just wrapped in paper and plastic, so as not to lose its crispiness, I guess. Although the bagnet is already cooked, it is advised that you fry them again before consuming. 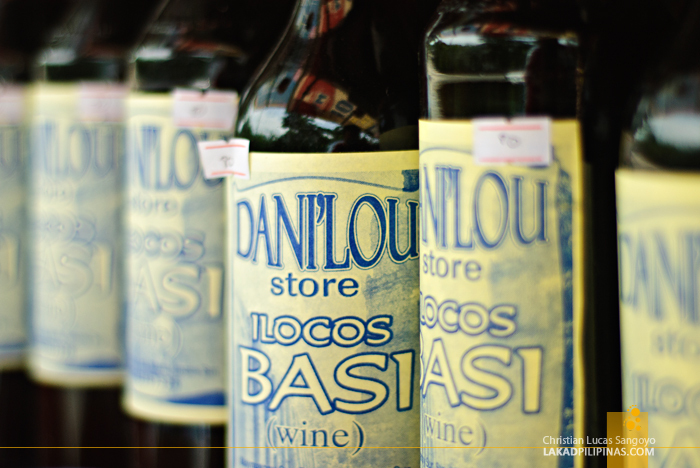 Another must-buy when in Vigan is the Ilocos-made basi or sugarcane wine. I have seen a lot of these being sold at the highways leading to the city, but it is also available at Crisologo, albeit at a relatively more expensive price. Stores hawking this almost always also sells the popular Iloko vinegar too. 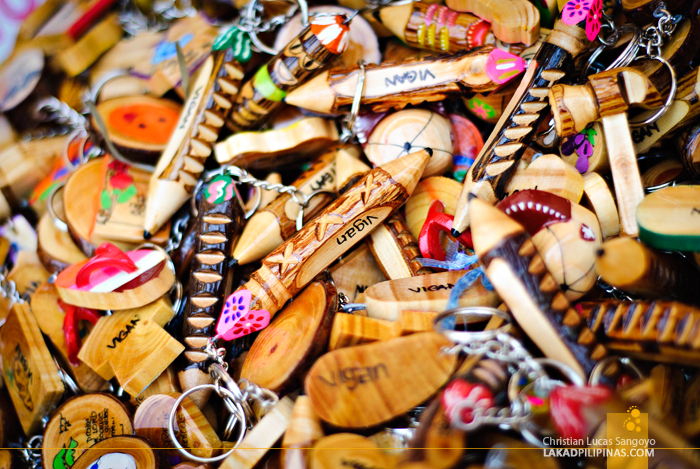 For the key chain and ref collectors, you will have your fill at Vigan. They have a variety of these knick knacks. The only place that I know that rivals this place when it comes to these is Baguio City. I suggest that you to rummage through each store to find the most unique and local design available. 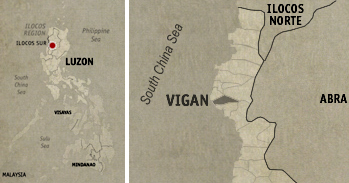 T-shirt buffs would also have a field day in Vigan. Numerous designs, from the traditional to the funny can be bought at the souvenir stalls for affordable prices. I especially love a particular shirt enumerating the various Ilocano dishes that has a very R18 feel to it. Lol. 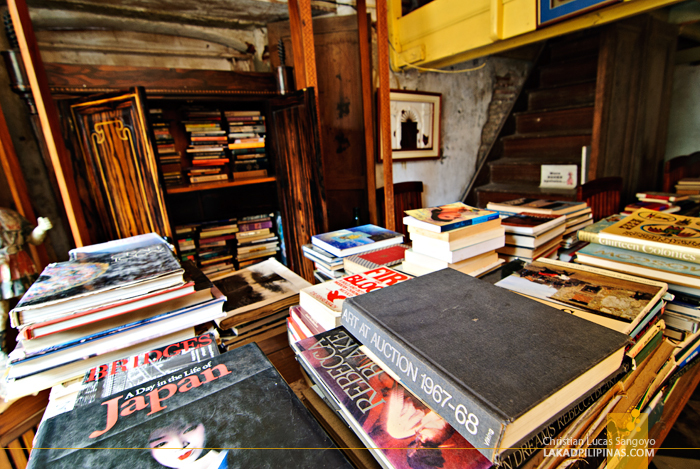 Bookworms rejoice, I found a couple of shops along Crisologo selling second hand books. Although I wasn’t really able to deeply browse through their selections, I saw some interesting coffee table books and paperbacks on the shelves. No trading though. For more serious buys, you might want to check the handicrafts made in the area. 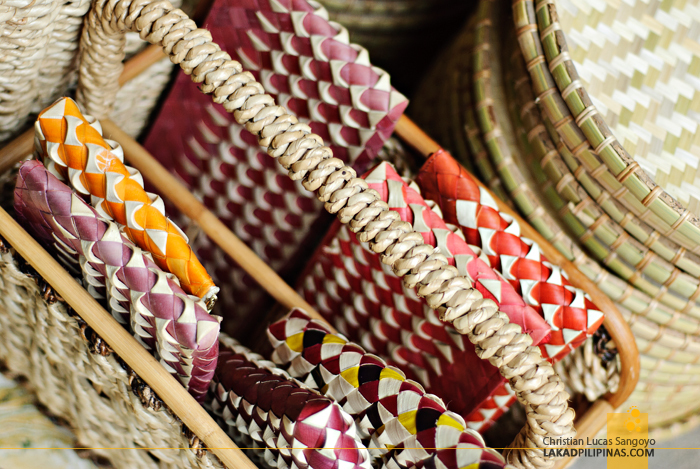 They have baskets, wallets, bags and hats made from buri and water lilies from the nearby rivers. 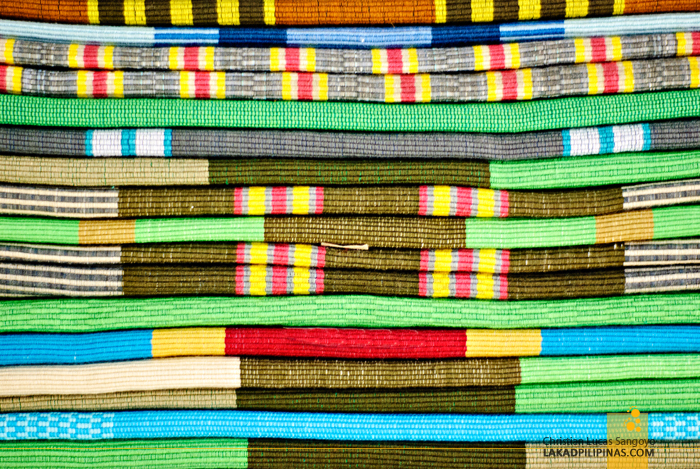 Consider bringing home a few abel products too, these are available in colorful table runners, scarves and mats. The ones I recommend you buy though are the blankets, they are super comfortable; warm during cold nights, cool during warm evenings. And for the really serious collectors, the city is a haven for picking up antiques. 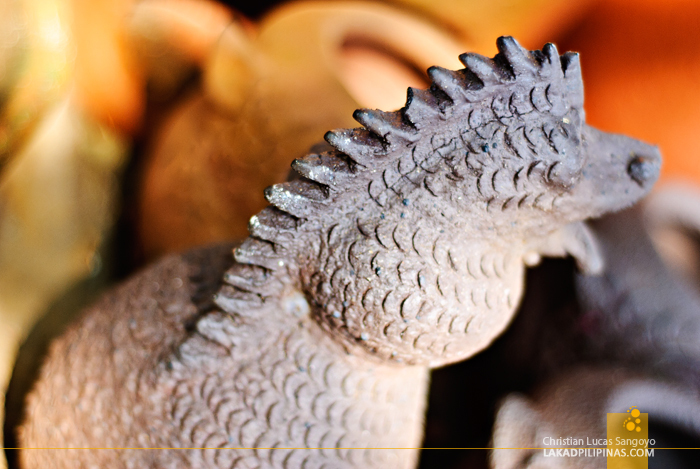 Furniture, carvings, horse shoes, milling stones, they have it all. This is a colonial era city after all. Just make sure you have a plan when it comes to transporting them back home. Visiting the Pagburnayan at the north-western side of the city, you may also help yourself to a couple of miniature pots or unique sculptures made from the local bantog clay. I’ve seen a few being given for free, I’m sure these are all very affordable. Personally, the core of my travel souvenirs revolves around Starbucks Icon mugs found around the globe. They may be expensive, but I find them really nice since they’re uniform in appearance and style. 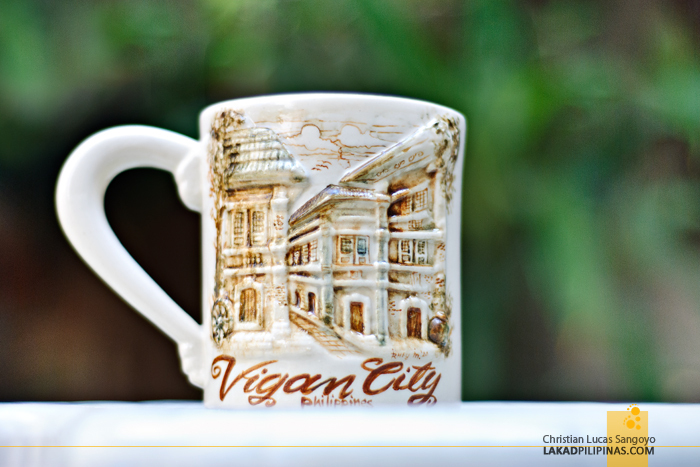 While there may be no Starbucks Coffee in Vigan, I still managed to find a unique relief mug with the signature Bahay na Bato design that characterize the city. Although I really won’t be displaying this with my icon mug collection, I still think it’s a good find. Hi Sheena, I found it on one of the shops lining Calle Crisologo. Left side, if I remember correctly.